In one dynamic package, 25-year-old guard Daniel Hackett of Montepaschi Siena is a perfect example of the mix of cultures often found on Turkish Airlines Euroleague teams. The son of former professional player Rudy Hackett, his game is a combination of his father's American tradition and the style he learned growing up in his mother homeland, Italy. Although he was born in and plays internationally for Italy, Daniel has spent plenty time learning basketball in both countries before turning pro. Since the last season, he has been shining as one of key players for the perennial Italian champions. So far this season, he spends more minutes on the floor than any other Euroleague player, 37 per game, and ranks among the top five in performance index rating after three games. Initially, basketball came naturally to Hackett as he started going to games as a three-year old and merely followed in the footsteps of his father. "He always taught me to be myself, always told me to go out and have fun," Hackett says of his father's influence. "He didn't put a lot of pressure on me, learning the game. But I knew he wanted me to watch him and watch a lot of players, so that I could enjoy the game even more." Hackett grew to love both the basketball he learned growing up in Italy, and his father's American style of play. He also had plenty of practice adapting to different basketball styles after leaving Italy as a teenager to play seven years in the United States. There he finished high school, and went on to the University of Southern California, before he paved his own road back to Europe in 2009, when he joined Benetton Treviso. For young Hackett, living on the both sides of Atlantic and merging cultures was nothing but fulfilling. "You have the best of both worlds," says Hackett. "I have friends here and there. So it's not difficult for me to understand life in the United States or here in Europe. I've been blessed enough to have both." And if going back and forth wasn't much of a cultural challenge for Hackett, returning to European basketball after seven years away was much harder. "The problem was coming back here, learning the European style of the game, learning how difficult and complex it is," he said. Siena’s guard admits he got used to an up-and-down style of play in the United States, which is one of the big differences between American and European basketball. "Here in Europe, it's more of a structured type of basketball," he said. "You've got to respect spaces, you've got to respect the moves of other players. There's a lot to understand; when you have to score and when you have to create. As I say, there are always things that you can understand and get better in Europe. It's never over." 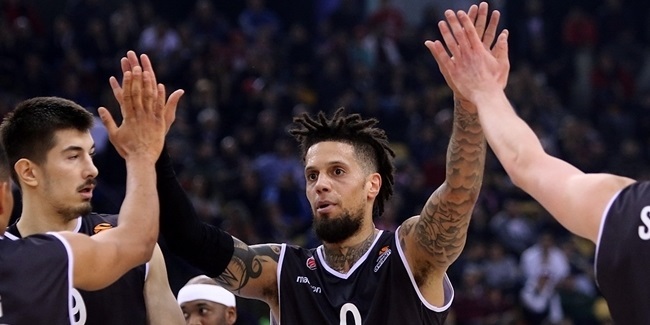 In this ongoing process, Hackett started off pretty well last season, averaging 7.2 points, 3.0 assists and 2.3 rebounds in his Euroleague debut. But this season, he has exploded to more than double those numbers at the start of this season. He ranks fourth among all Euroleague players in performance index rating, 24.3 on average, and ninth in scoring, with 15.3 points per game. He is even the sixth-best defensive rebounder in the competition so far, with 5.3 per game, a rare number for a guard. Still, Hackett is far from being as accomplished player as he dreams to be. "I've still got a way to go," Hackett says. "I've still got to learn, because to get to the top of European ball is a long way." 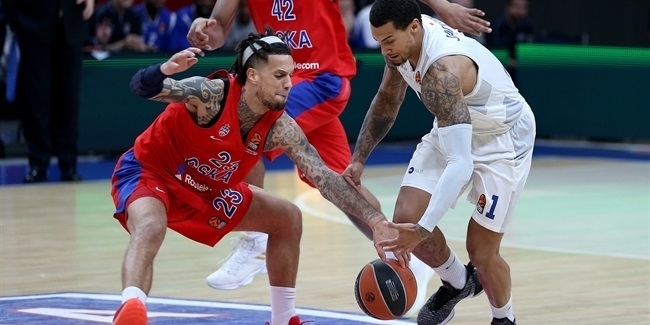 CSKA Moscow made a change in the backcourt by signing a veteran guard Daniel Hackett, the club announced Tuesday. Hackett arrives from Brose Bamberg. German champion Brose Bamberg added more experience to its backcourt by signing veteran guard Daniel Hackett to a two-year deal.